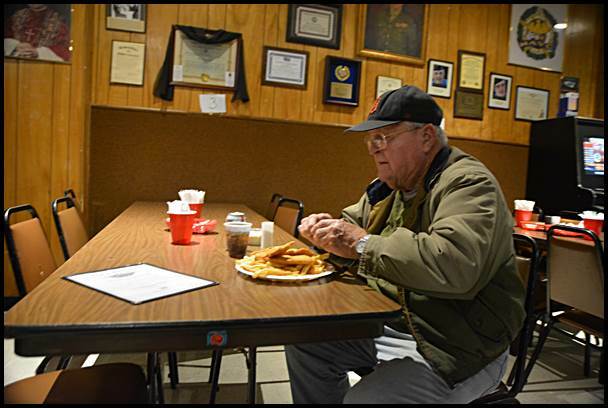 The city offers three places in town specializing in the tradition: Kelly’s Bar, PLAV Post 10 and the Moose Lodge. All of them have their own particular take on their fish fry, and all of them are terrific. Let’s start with the Moose Lodge on Conant just north of Holbrook (9421 Conant). 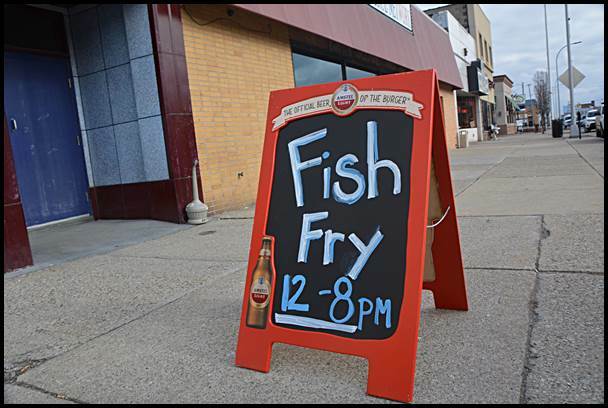 Doors open at 4 p.m. and you can enjoy a pierogi dinner, shrimp Po’Boy sandwich, breaded shrimp dinner or a Lake Perch dinner. Carryouts are available. Call them at (313) 871-9115. At PLAV Post 10 at 11824 Jos. 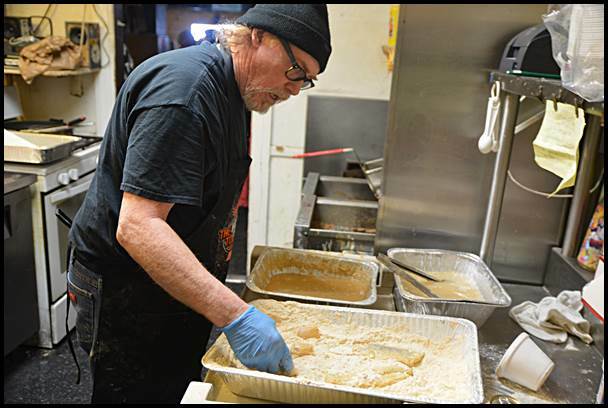 Campau, some familiar faces will be serving up specials. 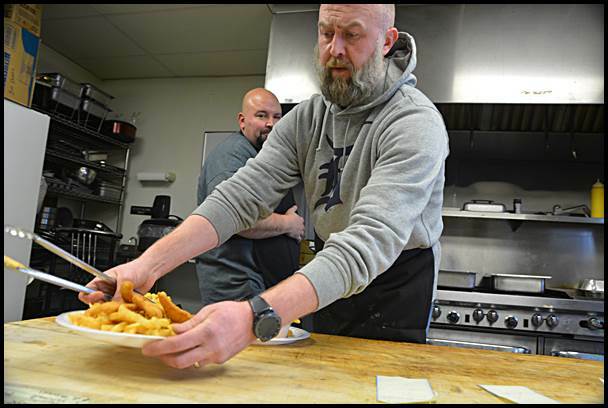 Rodney Srodek and Hippo Jr. are manning the kitchen and they offer every Friday, from noon to 8 p.m. during Lent the following: A combo platter featuring walleye, perch, shrimp and pierogi (for $17). You can also choose from breaded lake perch and breaded walleye, jumbo butterfly shrimp dinner, potato cheddar pierogi diner, French fries and Mac and Cheese. Carryouts are also available. Call them at (313) 893-1355. Proceeds go to veterans who are hospitalized and those who are homeless. And over at our favorite dive, Kelly’s Bar (2403 Holbrook) has all-you-can-eat walleye. 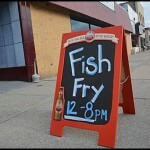 They’ll be open every Friday from 11 a.m. to 8 p.m. and lunch and dinners are served. Also on the menu: Lake perch and cod dinners. Kelly’s, by the way, is home to the original taco and Reuben pierogies. There are great beer specials, too. Carryouts are also available. Call them at (313) 872-0387. Of course you can catch a good fish meal at the regular restaurants in town all year round, including Maine Street, Polish Village Café and Polonia. There are just two more weeks remaining in the season, which ends on March 30. The Hamtramck eating experience is a 365 day gig. Never a bad day in Hamtramck to eat or drink!